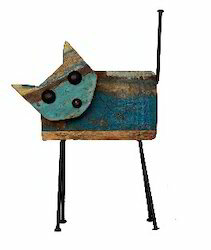 wooden undercut cat available in each sizes. We are offering a fine range of Wooden cats , hand crafted with fine Jali work & intricate carving, beautiful designs and appealing looks. To add long life and durability to this sculpture, it is carefully carved using optimum quality wood. Designed in various themes and positions, our range is acknowledged for its superior finish, polish, minute detailing and complementing colors. 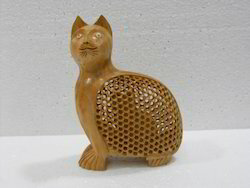 We are offering wide range of Cat Statue that are used for decoration purposes that are also used to gift cats lover. These are beautifully crafted. Beautyfully designing and finishing work. Available in all size.